A highly integrated conglomerate of airframe, engine, tank and shipbuilding manufacturing plants. The Allies main opponent in the Pacific air war was the legendary Zero, a true symbol of Imperial Japan. — handled most tank production for the Empire of Japan. Mitsubishi produced some of the most remarkable fighters, bombers, engines and tanks of its era. 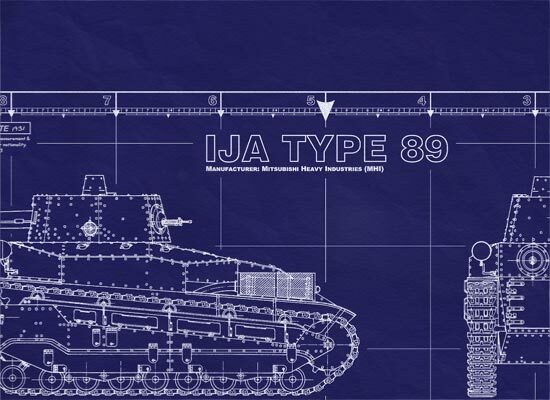 Japan's Type 89 Medium Tank - This is a real blueprint made directly from vellum masters. Delivered to you on a full size master sheet measuring 42"x 30". 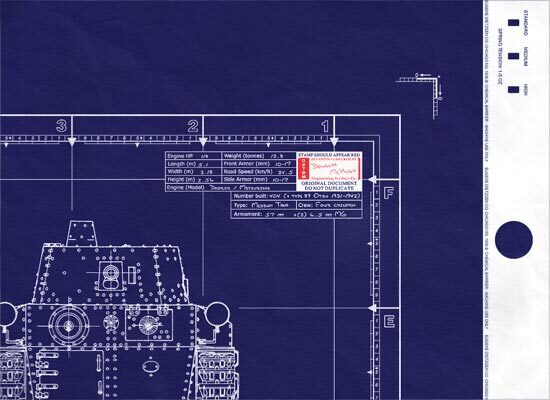 The blueprint will arrive uncut, edge not slit, or trimmed, and are marked for proper 36"x24" finishing. 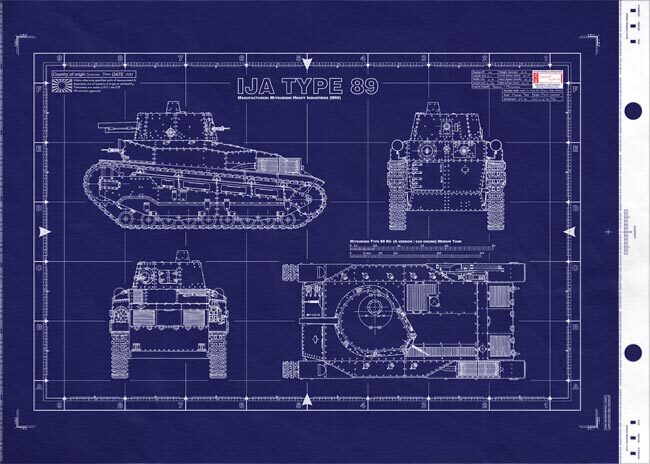 This is a detailed general arrangement plan (standard blueprint cover-sheet) of the WWII Japanese Type 89 Medium Tank. The Japanese Army widely employed tanks within the Pacific theater of war. —key role in the conquests of Singapore and Malaya, as well as their later use in Burma, Saipan, and the Philippines. The blueprint will arrive uncut, edge not slit, or trimmed, and are marked for proper 36"x24" finishing. 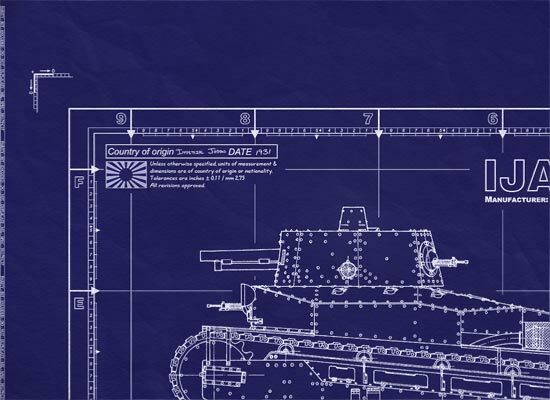 This is a detailed general arrangement plan ( standard blueprint cover-sheet ) of the WWII Japanese Type 89 Medium Tank . Continued from above… We will shortly begin to update the military history of this tank.